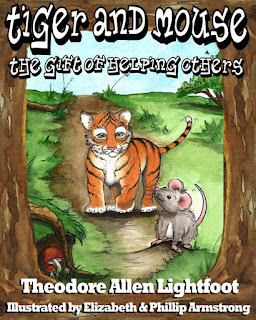 Today's Author Interview is with Theo Lightfoot, author of the Tiger and Mouse series: The Gift of Helping Others and The Pebble of Perseverance. 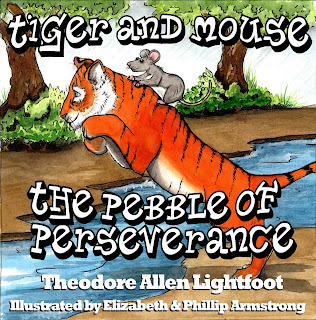 Theo's Biography: Theodore Lightfoot gains inspiration for his books from his two children, Asher, age 6 and Audrey, age 4, and wife Laura, who is an early childhood educator. After years of telling impromptu stories at his kids' request, Theo is thrilled to create stories to be enjoyed by all. His favorite activities with his kids include going to the zoo and aquarium, baseball games, playing at the park, bike rides, and of course reading books (his kids have pretty much exhausted the selection at the local library.) His son Asher is crazy about animals, which is why animals appear in all Theo's books. 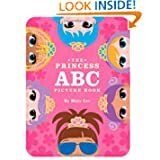 His daughter Audrey loves everything girly--from princesses to makeup to frilly dresses--so perhaps there's a princess kid's book in his future. Theo grew up and now resides in the Pacific Northwest where it rains a lot. Luckily, he can write no matter what the weather. My children and I really enjoyed these books. You can read my review and rating on my July 2 post. 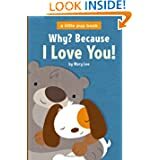 Valerie: Your books are illustrated by Elizabeth and Phillip Armstrong. How did you connect? Theo: I met my illustrator at my day job. She and her husband co-illustrated the books. The illustrations are watercolor. Valerie: What is your favorite thing about being an author? Theo: Having a finished product you're proud of, that's out there in the world--is one of the most satisfying feelings in life. Theo: I'm a perfectionist so I'm always thinking, "Oh I should have done this or that in the story or with that line." The other thing is that I design the layout of my books, which is a real drag when you're not a designer and don't have the right tools to do it efficiently. Valerie: If you could not be author, what would you do/be? Theo: Well, I've been in bands and playing music since age 15, so probably a rock star. Valerie: What is your favorite book of all time? Theo: My Name is Asher Lev by Chaim Potok. It's about an extremely talented young Jewish artist who struggles to reconcile his art and his faith. When I read it, I knew I had to be an author. Valerie: Which character from any book are you most like? Theo: The Who in Horton Hears a Who: Small and insignificant but hopefully can make a difference. Valerie: What character from your books are you most like? Theo: Mouse. Overly responsible and a little afraid to have fun. Theo: The Old Man and the Sea by Ernest Hemingway or The Bible would be pretty cool too. Valerie: Are you working on something new? Theo: Always. I have so many ideas but limited time to put things together. I have ideas for 3 or 4 more children's books, and about 4 novels. Maybe in the next 10 years I can get to them all. Valerie: Anything you want to say to followers of this blog or those that are just stopping by? Theo: Thanks for supporting children's book authors. We appreciate it. Thank you Theo for the interview. 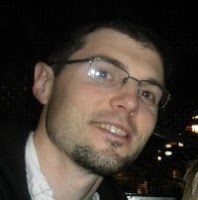 You can find out more about Theo on his website, Facebook, and Amazon. 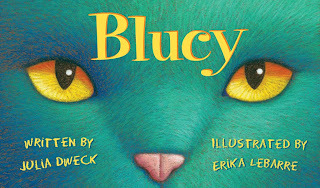 Today's Book Children's e-Book Review is Blucy by Julia Dweck and illustrated by Ericka LeBarre. Available for PreSale until August 12 2013. Pre-Order here. Mandy finds an unusual cat at the pound: Lucy. Lucy, whose fur is color-triggered by emotion, turns blue when she arrives at her new home and Mandy re-names her Blucy (because of her fur color--so adorable!). Blucy camouflages herself next to blue things and destroys everything from presents to walls until Mandy makes a discovery that fixes everything. And Blucy's fur remains blue with happiness. The illustrations are FABULOUS (5 stars! ), kudos to Erika LeBarre. The rhyme maintained the rhythm almost the whole time, great job Julia Dweck. I loved the beginning and ending best (5 star work! ), and even though the middle dragged a tad, the illustrations kept me turning the page and the lovely ending surprised me. Overall, this is a 4.5 star book and I highly recommend it! Valerie: Why do you like to write children's picture books? 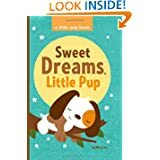 Julia: I have a very visual imagination and picture books are a great way to convey the colorful images I see in my mind as I write my stories. 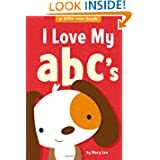 Valerie: What are some of your favorite children's books? Big people books? Julia: As a child, I gravitated to Seuss. I loved the humor and rhythm of his rhyme. As a teacher, I read a lot of YA with my older students. My current favorite is Airman by Eoin Colfer. It blends just the right amount of mystery, intrigue and suspense. Valerie: What advice do you have for children who want to be writers? Julia: Write about things that interest you. Keep a journal of ideas. Share your stories with family and friends. And remember that all writers write, rewrite and then rewrite again. 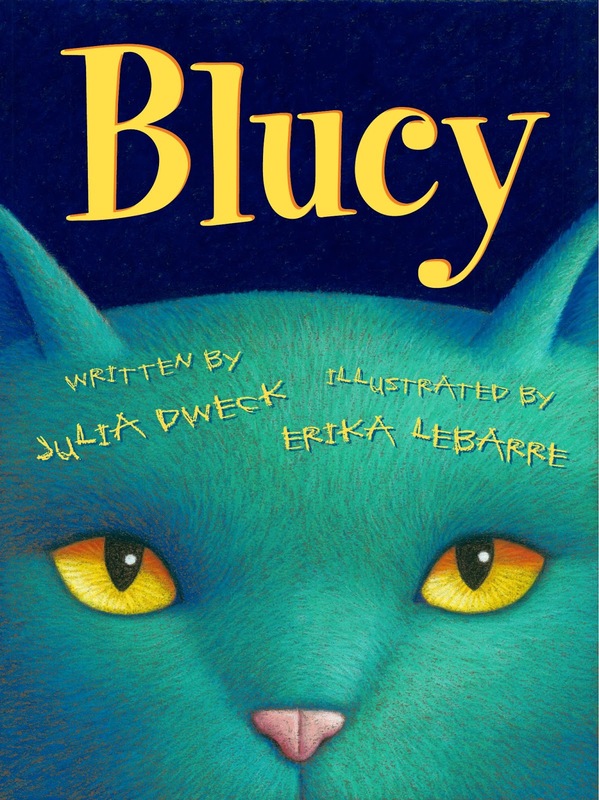 Valerie: If you were a Blucy-cat, what color would you stay? Julia: I would be blue, just like Blucy, because blue is my all-time favorite color. In fact, the couch in my den is solid blue. I love to lie back on it, relax and dream up new story ideas. Colors can definitely affect our mood. What's your favorite color? Valerie: I can't decide between blue or green. So I pick both! Maybe I'd be a calico Blucy, both blue and green. About author Julia Dweck: Julia Dweck writes children's stories for digital and traditional publication. Her stories span the spectrum of humor, fantasy, and edutainment in rhyme and in prose. Julia's background in elementary education affords her the opportunity to be in touch with what children want to read and what makes them giggle. 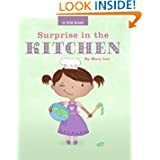 She's collaborated with leading artists in the world of children's literature to produce over 20 bestselling Amazon eBooks. About illustrator Erica LeBarre: Erika LeBarre graduated from the College for Creative Studies with a BFA in illustration. After graduating, she worked at an art studio with other illustrators and designers for over four years. Since then she has worked as a freelance illustrator out of her home. Her life has come full circle by having the opportunity to teach at the College for Creative Studies. 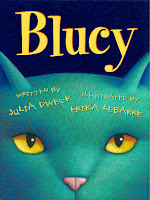 You can find the book Blucy on Amazon, Goodreads and Facebook. 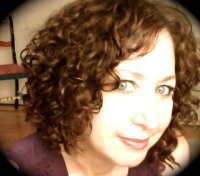 You can learn more about author Julia Dweck on her website, on Facebook and her Amazon author page. 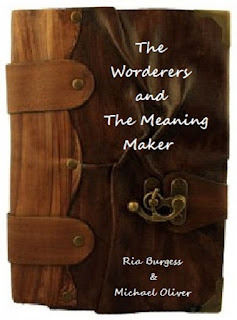 Today's Author Interview is with Ria Burgess, who co-wrote the children's chapter book The Worderers and The Meaning Maker with Michael Oliver. They live in England (note that the spelling of Ria's words is British style and not a misspelling). Click here for their Worderers Facebook page. Valerie: What is your favorite thing about being a writer? Ria: I love being able to spend my time doing something creative and creating a whole new world that is so different to my own. I have always loved to write and even as a little girl I would write stories wherever and whenever I could. Writing has always been a source of release and a therapeutic process for me and I enjoy having that quiet time alone to create and explore new ideas. And of course, one of the best things about being an author is seeing or hearing about people who enjoy reading your work. For such a long period of time it was just us and our book shut away while we're writing it and it can be a scary thing to release it into the world for other people to read as it feels like someone is reading your personal diary. However, when you start to get good feedback on it you realise it was all worth it and it has inspired us to write more! Valerie: What is the hardest part of being an author? Ria: The toughest part of being an author is not having enough hours in the day to write. As well as being an author I also work full-time as a manager of a live music and entertainment venue and Michael works in a film studio which only leaves us with evenings and weekends to write (or sometimes I may fit in an hour or two at work when it's not very busy, but I shouldn't really). So when we get into a book we just want to write and write but only have a fairly limited time in which to do so so we end up staying up all night to get a chapter finished or to form an idea. My ideal would be for us to set ourselves up in the study of our house and write all day everyday together. Ria: I have two favourites, from my youth my favourite book was Matilda by Roald Dahl and more recently one of the best books I have read was Room by Emma Donoghue which is a book about a young woman and her son who have been held hostage in a strange man's shed for years and she tries to raise her son as best she can with no contact with the outside world. Valerie: What inspired your book cover (I love the old leathery look!)? Ria: The book cover is actually a picture of a notebook that I own and before I even started writing the book I knew exactly what I wanted the book that features in the story to look like. I saw this notepad being sold on the table of a market in Covent Garden in London and had to buy it straight away and kept it in my writing room at home to help inspire me as I wrote. Valerie: What would you say to anyone who reads this interview? Ria: Promoting children's books and reading is so vital. Children should engage with reading from a very young age not only to help their imaginations develop but to also illustrate to them the possibilities available to them in life and to teach them valuable lessons along the way. We hope that The Worderers and The Meaning Maker is enjoyed on all of those levels while also imparting the importance of education and family. It would be our dream to have this book published as a hardback one day and displayed in a bookshop window so we are trying to generate as much interest in the book as possible while we wend it out to literary agents for representation. We will always welcome any feedback, ideas or suggestions on the book either via the books Facebook page or via e-mail. Best wishes to you Ria, and dear reader, in your reading and writing! I love the feel of a printed book in my hand, and I don't think that e-books will completely replace the printed text. Even with full color children's books now so available on devices, I will always have printed children's books on my bookshelves. I will always have printed books on a bookshelf. And more books than bookshelf! That being said, I'm a big believer that Availability of Books increases literacy, and that the source, whether it be a paperback, hardback or e-book, doesn't matter. Mobile reading devices have made it so portions of my "bookshelf" are portable. And increasing the portability of books is good for me and my children. My son reading a printed book--but he loves iPad stories at bedtime! challenge of a book. " Print books do not have more reading value than e-Books? e-Books encourage reluctant readers? This is good news for the argument of print vs. digital--both are good and aid child literacy. Isn't that a belief we all can support? Click on this link for the entire text. e-Books mean more books are available to read. However, Availability doesn't necessary mean Quality, which is why I've made it my mission to review and spotlight quality children's e-books. 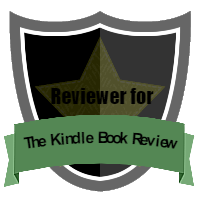 Subscribe to my blog and comment below on children's e-books you'd like to see reviewed. 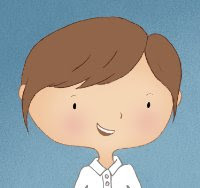 Mary's Bio: "I am a writer, illustrator, graphic designer and a mom. I've lived in various places across the country but currently my heart is in the Bay Area. I have two sweet children, two dogs and a mini-cactus named Spike. In my free time (ha ha ha), I like to read books, jog slowly, cook badly and sleep rarely." Mary: Oh, that's reeeeallly hard to pick one. Favorite kids book is The Giving Tree. For adults, currently I'm hoping Gone Girl becomes a movie. Crazy cool book. Valerie: What would the story of your life be entitled? Mary: Hmmm, maybe Pickles and Muffins, The story of Mary Lee. Pickles is my replacement word when I want to curse around my kids, and Muffins is the only thing I've ever been able to cook well. Valerie: What is something funny that happened while promoting your book? 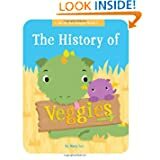 vegetables are The History of Veggies. 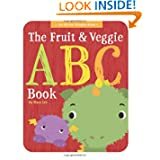 He was a seven year old that went on a rant about how much he hates vegetables and because he hates them, this is the worst book of all time. He accidentally gave the book a 5 star rating. Valerie: Which of your books is where you'd love to take a weekend vacation? Mary: The Smartest Princess. It's set at a beautiful castle by the sea with a great garden and awesome library. I really needed a vacation when I did that one. 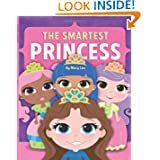 My 8 year old daughter and I enjoyed reading The Smartest Princess together, which I blogged about here. Valerie: What inspires your writing? Mary: My kids and other parents. 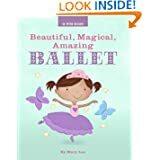 I try to think of what other parents would want for their kids, whether it's help getting them to sleep, making them feel loved or getting them excited about ballet. Thank you for joining me Mary Lee! 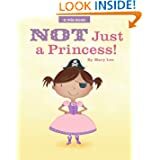 You can find Mary Lee on her Blog (where she has cute princess coloring pages! ), Amazon, GoodReads, Facebook, Pinterest, and Twitter.